Looks like Dayman and Nightman are the champions of the upcoming Pokémon games - trendistic.com: ever tried. ever failed. no matter. try again. fail again. fail better. We already know that the “The Nightman Cometh” musical (of It’s Always Sunny In Philadelphia fame) is all about being a master of karate and friendship. 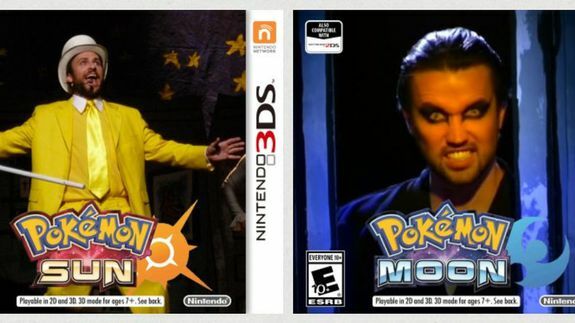 But could the Dayman be a Pokémon master, too? According to these clever Photoshops posted to Reddit yesterday, the answer is a resounding yes. Sure, the Internet is pumped for the upcoming Pokémon Sun and Pokémon Moon games, but it would also welcome Pokémon Mac and Pokémon Charlie. Or at least Mac and Charlie as cover models.